After working with them for over five years, this custom glass manufacturer counts on Surface Solutions to recommend and install high performance flooring at their facility in Maryland. 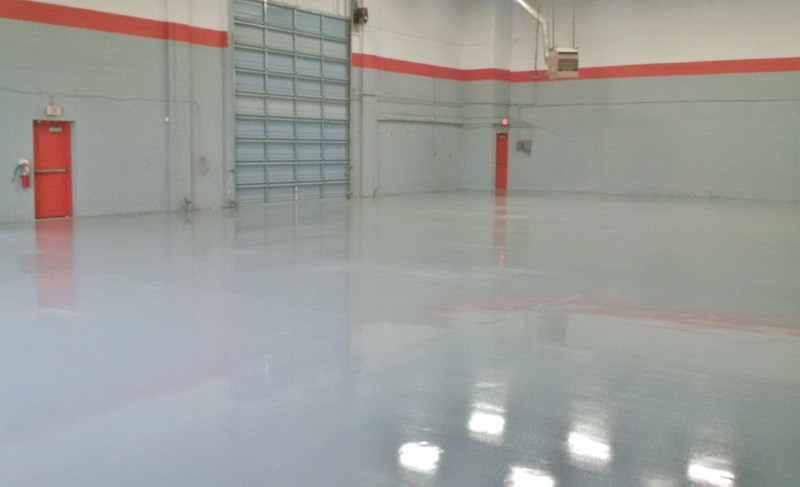 Our expert flooring specialists remove the existing coatings from a 12,000-square-foot warehouse and install a 3-coat epoxy system to 30 mils, followed by SS321, a urethane topcoat. The entire project takes six days to complete. Epoxy bonds extremely well to properly prepared concrete substrate. Epoxy can also be used as a resurfacing agent for old or worn concrete, filling in hairline cracks and imperfections and providing protection. Epoxy systems are available in different formulations to allow for varying degrees of thickness for a single coating. This creates an extremely thick, hard and impact-resistant surface that is also resistant to scratching and abrasion. Epoxy will eventually yellow when exposed to sunlight over time. Urethane is also a high-performance coating. Unlike epoxy, urethane topcoats are available in 2 to 3 mils of thickness for a single coating to allow for more flexibility and better impact absorption. Although not as hard as epoxy, the urethane topcoat is more abrasion-, chemical- and scratch-resistant and tolerates humidity and larger temperature swings with ease. Urethane does not bond to concrete substrate as readily as epoxy but is more suited to mix with anti-slip aggregate additives. It is also UV-stable and is available in different finishes from satin to very glossy. 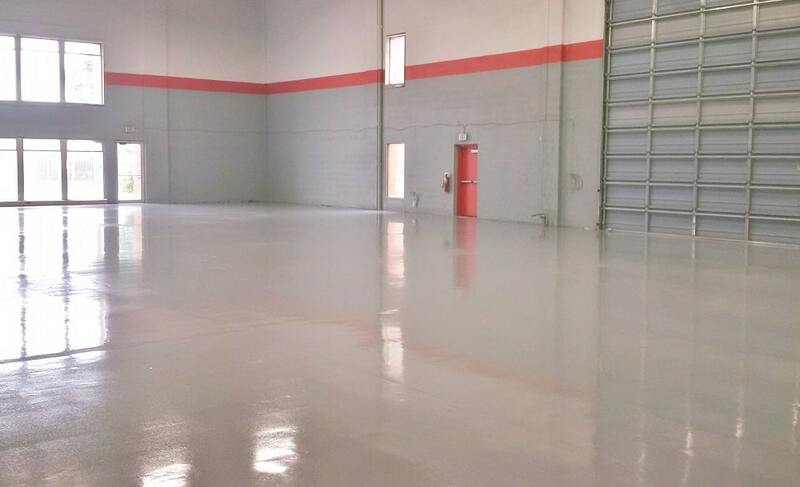 Epoxy builds the thickness of the concrete floor while the urethane topcoat protects it. A combination of epoxy and urethane takes advantage of each product’s benefits, resulting in a maximum performance floor coating system that stands up to the rigors of industrial environments for years to come.